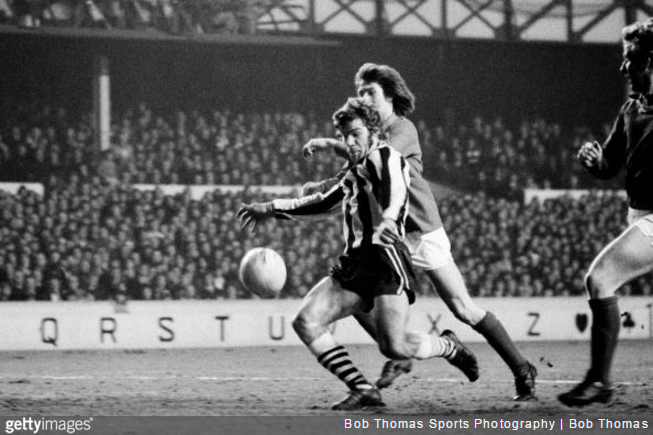 Newcastle United vs Nottingham Forest, 1974: The Most Controversial FA Cup Replay Of All Time? As the football authorities continue to ponder whether to sound the death knell for cup replays altogether, it’s perhaps timely to remember one of the most controversial FA Cup replays in football history. In March 1974, Newcastle United and Nottingham Forest played each other in the sixth round of the FA Cup. The first match took place on 9th March and Forest won a hotly contested penalty. They scored to take a 3-1 lead, but the Toon’s Pat Howard was sent off for protesting. That prompted the crowd at St James’ Park to invade the pitch, forcing an eight-minute break as the referee removed the players for their own safety. When play resumed, Newcastle scored three goals to win 4-3. Forest were incensed, and appealed against the result. The FA decided they had a point, annulled the result and ordered a replay at a neutral venue. Newcastle were now incensed. Especially as their booking and sending off were allowed to stand while the result wasn’t. The replay took place at Goodison Park and, somewhat inevitably, turned out to be a draw. As such, a replay of the replay subsequently took place at Goodison again – with Newcastle eventually running out winners thanks to a winner from Malcolm MacDonald (picture above). Many Forest fans still haven’t forgiven the Geordie fans for their poor conduct on that fateful day.